Years after the infamous Rwandan genocide of 1994, the bodies of Tutsi victims are finally being exhumed from the mass grave they were buried in so that surviving family members can perform a dignified funeral. 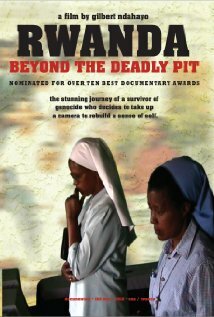 The "deadly pit" is located in director Gilbert Ndahayo's home village in Rwanda. Ndahayo is a survivor himself and the documentary is in part autobiographical as he seeks to come to terms with the murder of his parents and younger sister. Ndahayo's story, which includes an interview with the man who killed his parents, is interspersed with the stories of other survivors from the village, as well as archival footage of world leaders speaking about their own tremendous failings. The documentary is a gripping example of "cinema verité" which explores the extent of human mercy on both personal and national levels and questions the role played by Western powers and the Catholic Church in the genocide.